WARNING! : Fall Damage! Respin! You should be used to wall jumping and mid air morphing at the very least. Theres about 14~ rooms + save/map/boss. 25% is 100% 7 etanks, 5 missle tanks, 1 power bomb and ice beam. Thanks to Kejardon for the ancient fall damage asm, JAM, Sadistik, Black Falcon and metconst. SV: A lot less damage from falls and ugly platforms added. 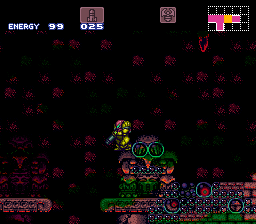 This is the Metroid equivalent of the-floor-is-lava, just without it being as fun. The best thing about this hack is that it looks pretty. 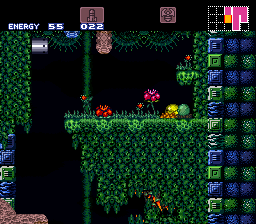 But when you have to rely on looking good, you know the rest of the hack has playability issues.